This is a deeply relaxing massage that warms and eases tired and aching muscles, offering a feeling of release. Professional Integrated massage therapist Sue Carberry uses light strokes, a soft massage technique that uses essential oils to deeply hydrate and purify the skin, whilst aromas soothe the mind and body, awakening the body’s natural healing system. Aromatherapy is the use of essential oils in holistic treatments. Essential oils that are extracted from plants are said to possess unique therapeutic benefits. These natural plant oils can be applied in a variety of ways, in Aromatherapy it is directed through a relaxing massage blended in carrier oil. As part of your massage, Sue can create a special blend of oils to suit you and your own needs to enhance your massage experience. Scent is the most enduring of all our senses and has the power to transform our emotions and heal our bodies. Essential oils extracted from plants and herbs can be used to treat conditions ranging from infections and skin disorders to immune deficiencies and stress. When aromas are sensed, impressions associated with previous experiences and emotions are generated. This part of the brain also controls heart rate, blood pressure, breathing, memory, stress levels and hormone balances. In combination with the power of touch, Aromatherapy is effective in relieving stress and anxiety, offering a profound effect on physical and psychological well-being. 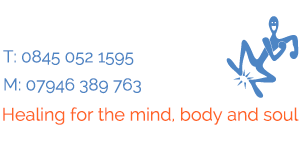 Professional therapist and genuine healer Sue offers exceptional value for a truly effective, authentic massage that delivers powerful benefits to health and well-being. Many happy clients return for regular sessions to enhance their quality of life. Watch the following video of Sue Carberry explaining more about Aromatherapy Massage.